Comfortably Huggable and Amazingly Lovable are only a few words to describe this new extra large teddy bear addition to the Giant Teddy family of teddy bears which we like to call Mango. 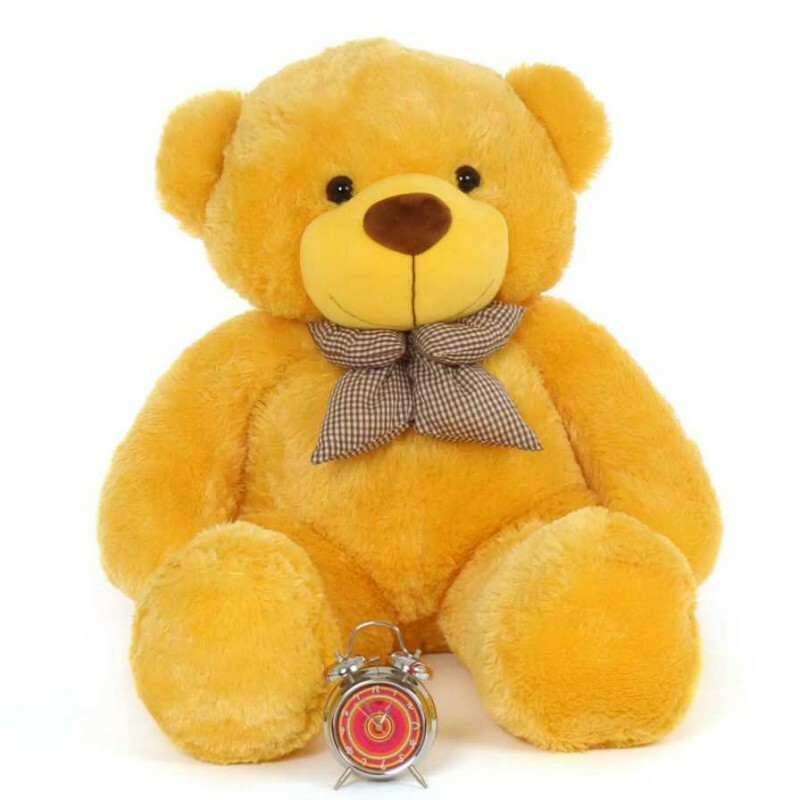 They measure 48" and is stuffed with love in India and has silky soft yellow fur that will set your heart a flutter! Mango is made with child safe fabrics. Please note that color of the fur might vary as per the fur available in the market.